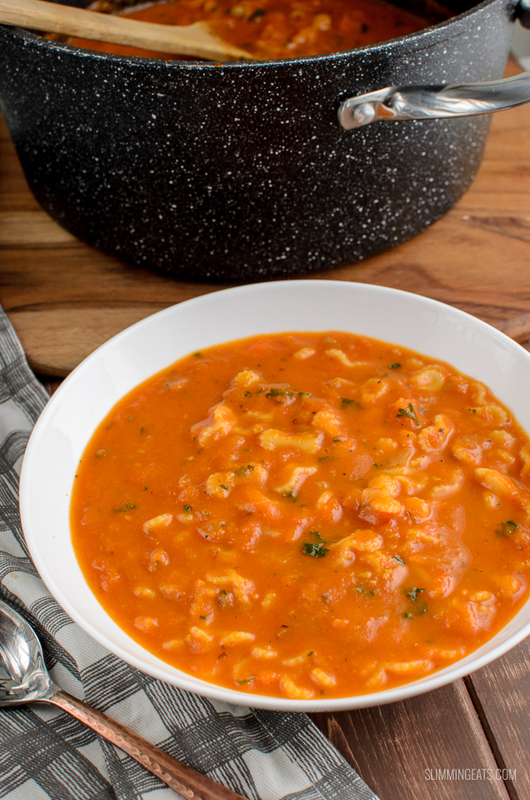 Syn Free Tomato and Pasta Soup – fresh delicious flavour, but simple ingredients for a perfect soup recipe for the whole family to enjoy. 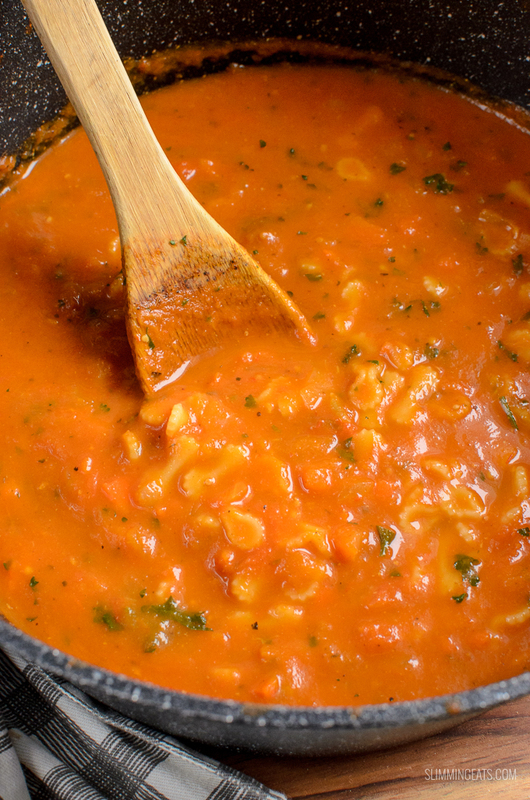 This Syn Free Tomato and Pasta Soup is a huge family favourite. When my kids want soup, 9 out of 10 times this is the one they request. They love it so much, that often when I make this for them, I will double or triple up the recipe, so I can freeze some and put some in their Thermos Food Flasks for them to take to school the next day. My kids are not huge on sandwiches, they prefer to take warm filling meals in food flask most days, especially when it can be freezing cold and often in the minus temps in the Winter here in Canada. If you work a busy schedule and don’t have heating facilities to warm up food and get fed up of the same old sandwiches or salads each day. 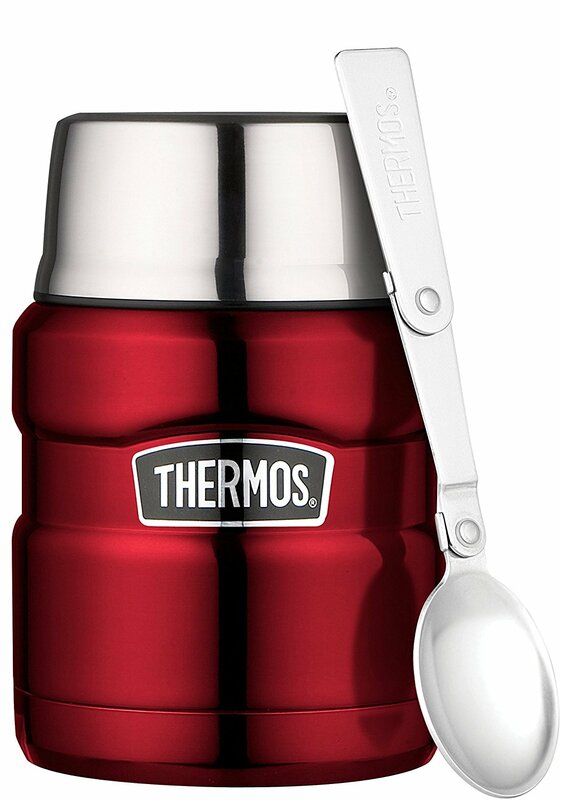 I highly recommend getting a Thermos Food Flask like the one above. Most food flasks will keep food hot for about 8 hours, which is awesome and means yo you can take all kinds of leftovers with you to work. Being able to have a good variety, makes it much healthier to stick to long-term. 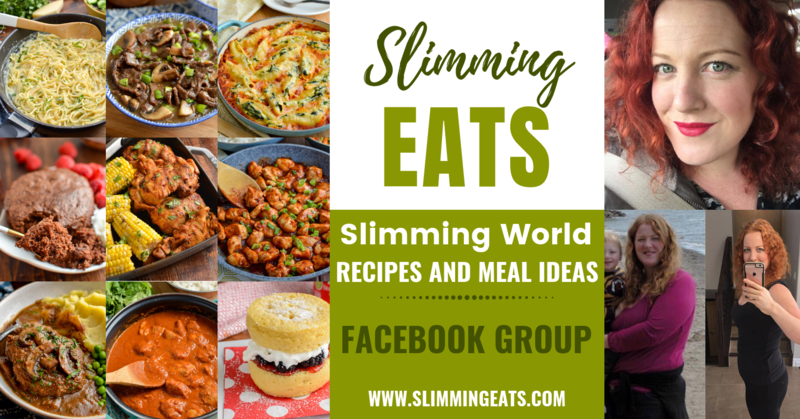 This really is simple and quick to make, just a handful of basic ingredients, come together to make a tasty and filling soup. 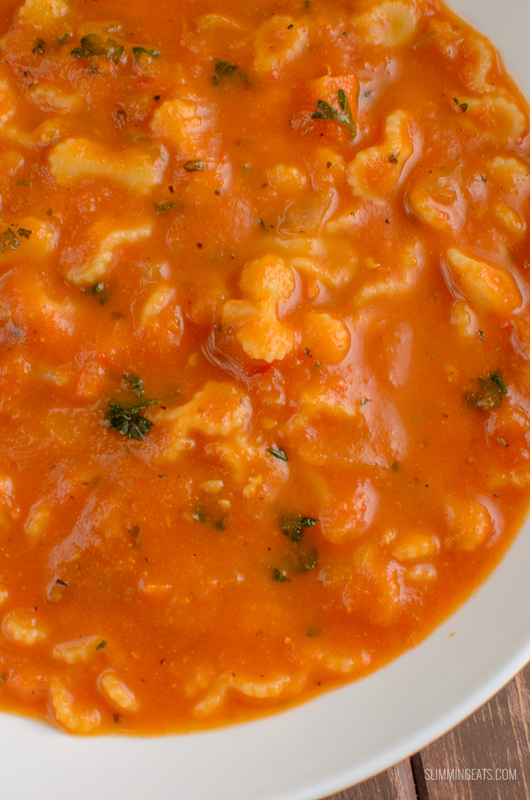 If you can use fresh tomatoes, you will get a much better tasting soup, trust me. Fresh tomatoes have such a delicious natural sweet flavour, whereas canned tomatoes tend to be quite acidic due to the canning method. Yes, fresh tomatoes can sometimes be a pain to peel, but I have a handy Serrated Peeler, that peels tomatoes so effortlessly and then they can be quickly chopped and added to the pan. For the pasta, you could use any pasta you like. 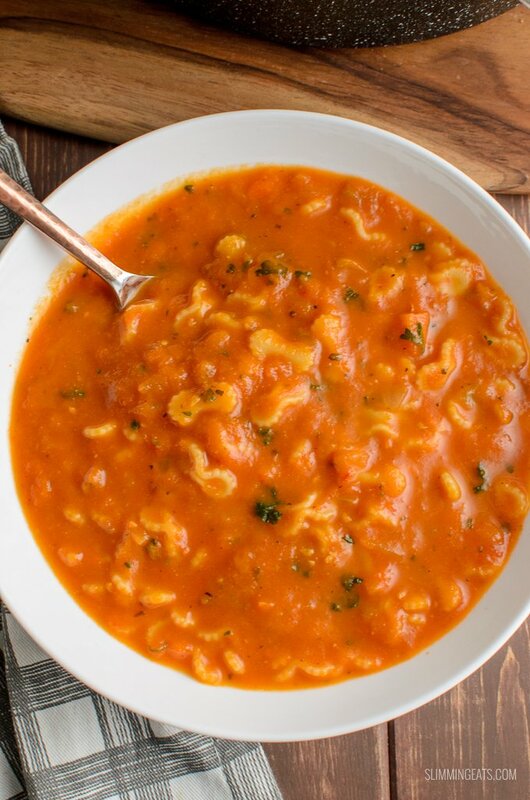 I prefer to use a small pasta like farfalline, which are pretty little pasta bows and look perfect in this soup. 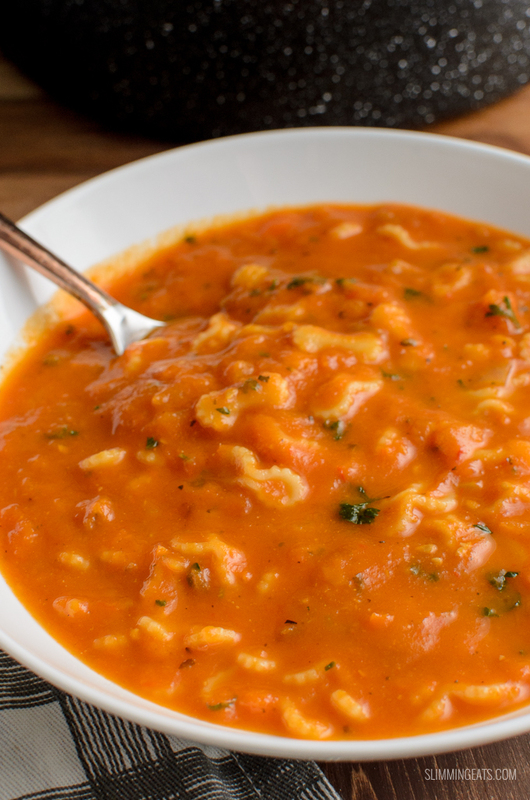 This soup is great just served as it is, but if you have a HEa spare, then a some parmesan or cheddar added to the top gives it a lovely cheesy flavour. 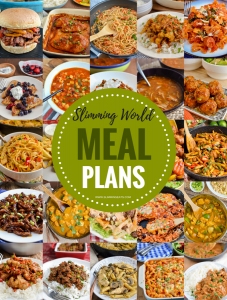 You could even choose some protein like shredded chicken, sausage, or ground meat to add to this too. I often add a little leftover cooked chicken if we have some left after Sunday dinner. WHAT KITCHEN ITEMS DO I NEED TO MAKE THIS SYN FREE CARROT AND BUTTER BEAN SOUP? Add the onions, celery, garlic and carrot and fry to soften. Add the tomatoes, tomato paste, balsamic vinegar, sugar and stock. Blend approx ¾ of the soup in a blender or food processor. Return it to the saucepan. 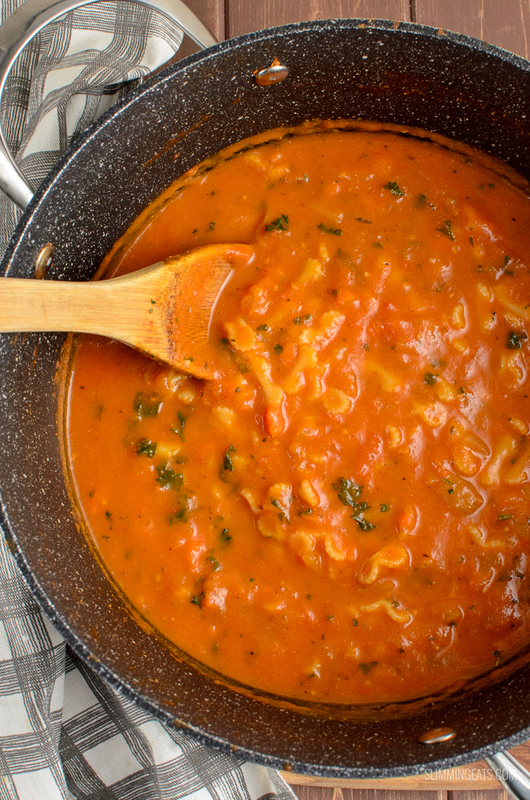 Add the pasta, some chopped fresh basil and then continue to simmer until the pasta is cooked through and tender. I am not a Slimming World member, but I do eat healthily, this is such a tasty and filling soup while still being low fat, this is the second time I’ve made it and has turned out to be one of our favourites, living in Spain I have access to so much fresh produce and tomatoes are 1€ per 3 kilogram bag at the moment!